Check out my new dramatic/comedic 10-minute play for 1 female and 1 male actor, Ruth and Harry & The Dinner Party. While preparing for a dinner party, Ruth reveals a well-kept secret to her husband which jeopardizes their future as a family. This 2-hander is perfect for competitions, duo interp, and performances. The characters are in their 20s, but could be played by teens through adults. This has excellent roles for the two actors; in a short 10 minutes, they exhibit great range from comedic and light to dark and dramatic. Click here to view a free monologue, Freshly Squeezed, for a female actor, which is extracted/edited from this play. 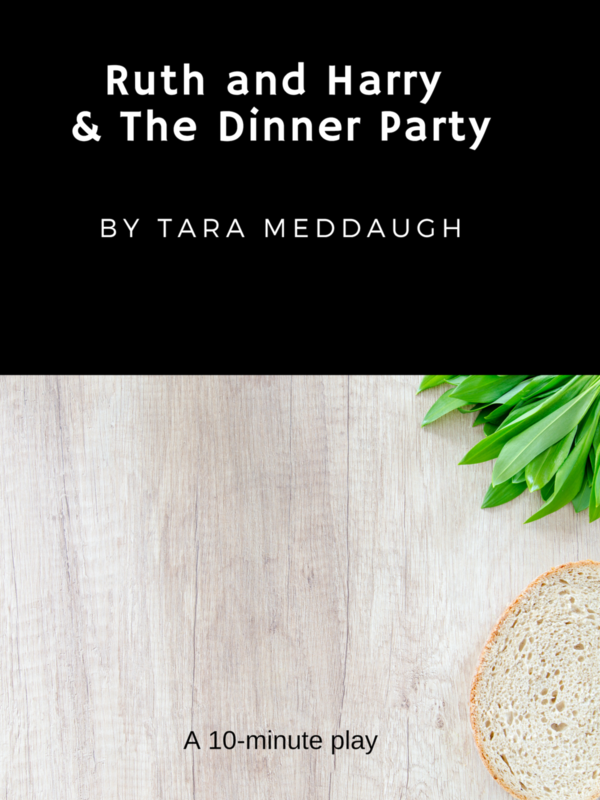 This ten-minute play, Ruth and Harry & The Dinner Party, is part of a selection of short plays which comprises The Victory Garden Plays. It may be performed within the Victory Garden Plays production, or it may stand alone, as a 10-minute play, as featured here.